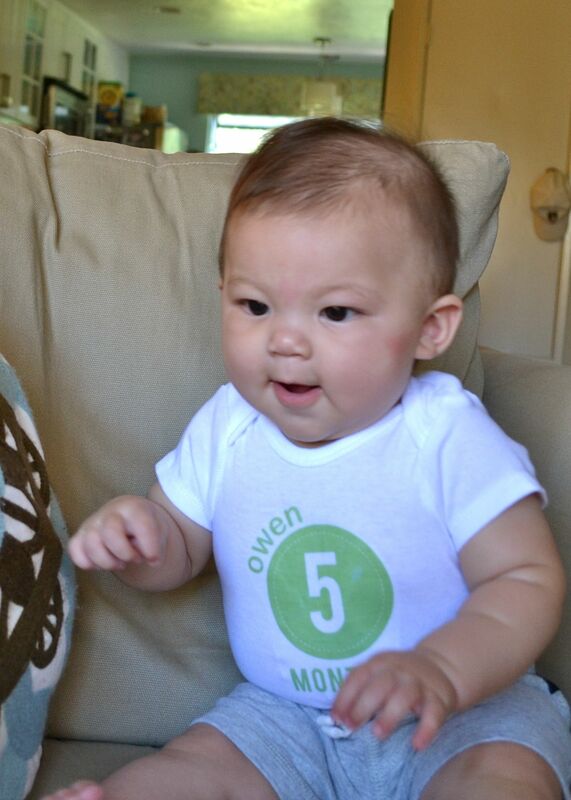 So, I’m about 3 weeks behind on this (sigh…), but Owen turned 6 months old on Sept. 30th, and I wanted to be sure to document his milestones before I forget. 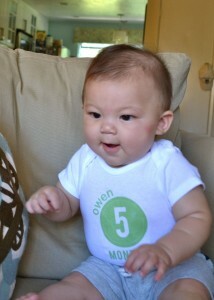 My little nugget, halfway to his first birthday already! Vital stats: 16 lb, 11 oz; 27.6″ long. Wearing 9-month clothes. 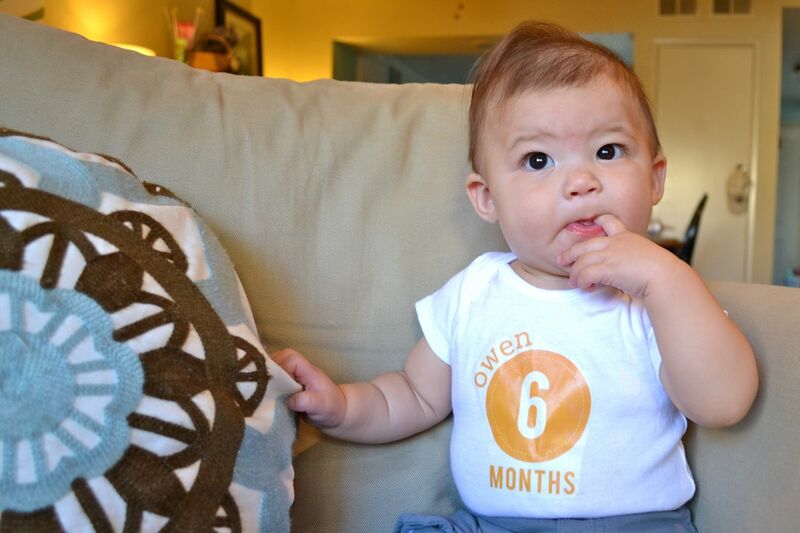 Likes: Lucy is still Owen’s favorite thing ever! He also likes bath time in his inflatable rubber-ducky tub, playing with his stacking rings and music center, and yanking mama’s hair (ouch). Dislikes: His car seat, all forms of baby food except for bananas, not being able to crawl. 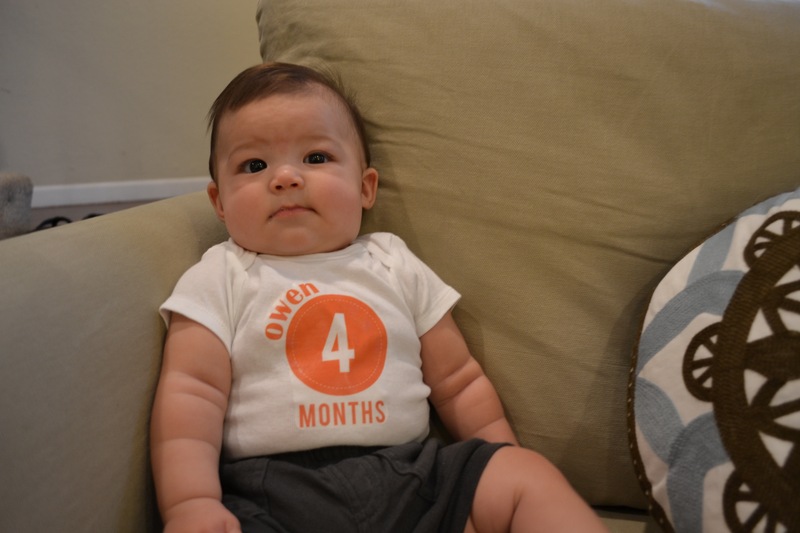 Accomplishments: Getting into a crawling position, cutting two teeth, and starting solid food (alas, he is not a fan of this). 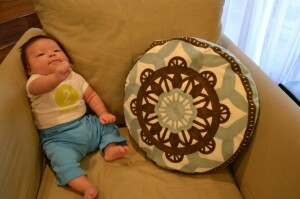 Challenges: Teething–need I say more?! 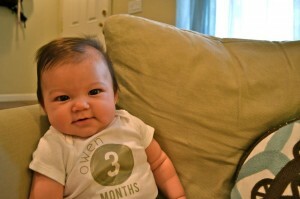 Despite his struggles with teething, Owen is such a sweet, happy, funny, and healthy boy, and we are so thankful for him!